Gabor Scheiring works as a research fellow at the University of Cambridge where he recently completed his PhD investigating the impact of economic restructuring in post-socialist Hungary on health and the collusion of class and identity in the everyday experience of the transition. In parallel he is analyzing the political economy of illiberalism in Central and Eastern Europe. As co-founder of a local progressive green party he was elected to the Hungarian Parliament in 2010, serving as shadow minister of finance for his party. From September 2014 he has chaired the Progressive Hungary Foundation, a think and do tank dedicated to progressive policy research, advocacy and democratic citizenship education. Blaming citizens for their alleged populist or anti-democratic turn is misleading. 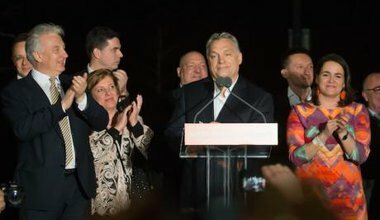 Without the active involvement of the economic elite, both foreign and domestic, authoritarian capitalism could not have emerged in Hungary.